WANTED: New Forever Family! 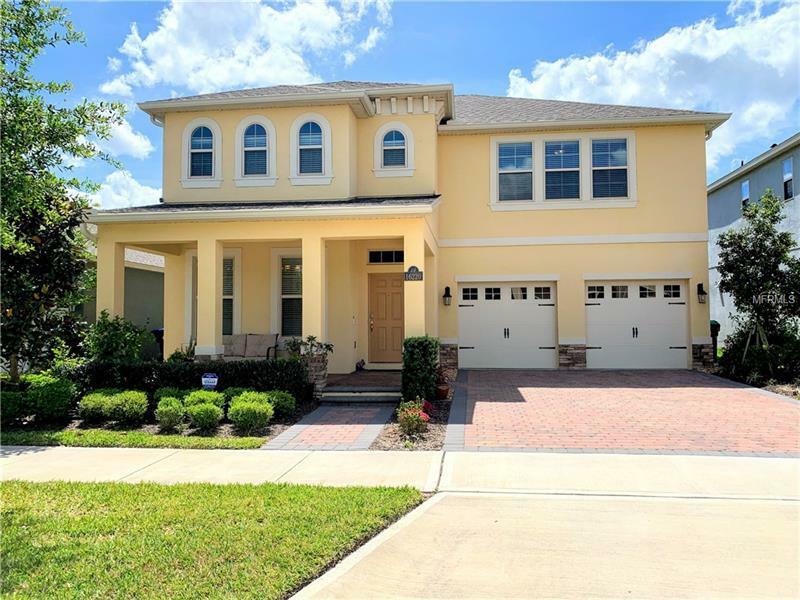 This 4/3 is located in the community of Waterleigh in the Horizons West area of Winter Garden. The front porch welcomes you into the home. There is a flex area at the front of the home which can be used as a Living Room, Office, Dining Room, playroom, or anything else you can imagine. The open floor plan is perfect for having friends and family over to watch the big game or celebrate. The kitchen features stainless steel appliances, granite counter tops, 42" mocha maple cabinets, and a huge island with a breakfast bar. The great room has an incredible view of the conservation pond/area behind the home. There is also a charging niche as in the hallway for your keys and phones, as well as a bedroom and bath downstairs. Upstairs there is a loft/bonus area which can be your movie room, video gaming area, or an upstairs living room. There are two large additional bedrooms, a bathroom and a huge laundry area upstairs so there is not need to lug your laundry up and down the steps. The master bathroom is huge and there is plenty of room for a sitting area or workout equipment. The master bath features a huge walk in closet, dual sinks and a shower. After a hard day, grab a glass of wine and head out to the covered and screened patio to relax and enjoy your view. The community is close to the 429, hospital and shopping. Waterleigh features two community centers and two resort style pools, a community garden, mini golf, sports fields and much more.